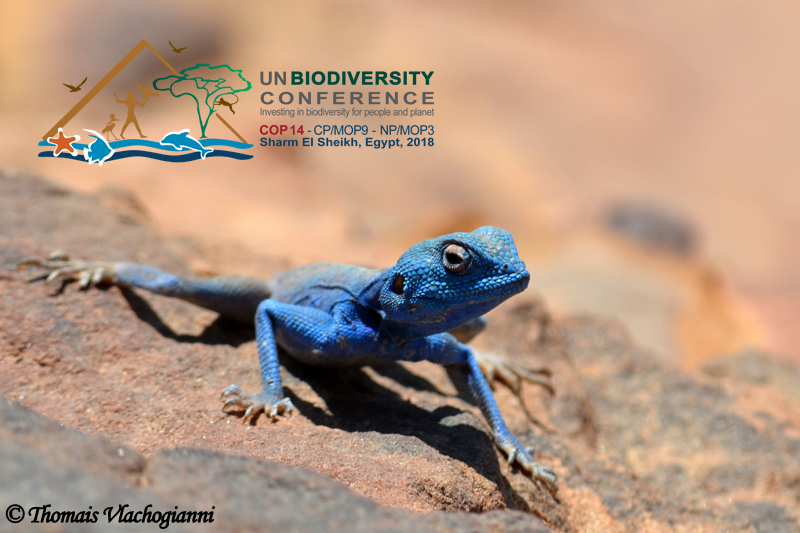 From 17 – 29 November 2018, governments and civil society actors from across the world are gathering at the UN Biodiversity Conference in Egypt to take stock of the progress achieved towards tackling the global biodiversity crisis and craft a new deal for nature and people. Biodiversity is a crucial natural asset and component of terrestrial, freshwater and marine ecosystems directly or indirectly providing or contributing to the maintenance of important ecosystem goods and services and thus underpinning human well-being. Despite the substantial efforts at EU and global level to protect, conserve and enhance the natural capital, assessments show that biodiversity is still being lost and that most ecosystems are seriously degraded. In fact, humanity has wiped out 60% of mammals, birds, fish and reptiles since the 1970s, leading the world’s foremost experts to warn that the annihilation of wildlife is now an emergency that threatens civilization. At the High-Level Ministerial Segment of the UN Biodiversity Conference, held on the 14th and 15th of November 2018 the stage was set for exchanges on the ways and means to mainstream biodiversity into the sectors of energy and mining, infrastructure, manufacturing and processing, and health, within the broader context of sustainable development and the achievement of the Sustainable Development Goals. MIO-ECSDE Chairman, Prof. Michael Scoullos, in his address to the representatives of the high-level segment said: “The catastrophic biodiversity losses cannot be effectively addressed if the relevant policies governing the other components of the ‘nexus’ are not coordinated and become mutually supportive. Such coherence and coordination, although not easy, is needed and do-able if the appropriate regulatory/ legal and technological means are employed in a balanced way, supported by formal, non-formal and informal education and awareness for rapidly approaching sustainable development and achieving the SDGs.” Prof. Scoullos drew the attention of the governments present on the necessity of introducing, strengthening and implementing National and Regional Education for Sustainable Development strategies as the safest prerequisite for effective promotion of biodiversity and health protection and advancement of the necessary integrated approaches such as the Water-Energy-Food-Ecosystems Nexus. The later issue was featured at a side event entitled ‘The ‘Nexus’ approach: a tool for safeguarding biodiversity’ which was held on the 18th November 2018 and organized by MIO-ECSDE, GWP-Med and RAED, with the support of the Swedish International Development Cooperation Agency (Sida), and the 2018 work programme of MIO-ECSDE (LIFE+). Mediterranean civil society is anxiously waiting to see strong decisions coming out of COP14, mandating Parties to undertake ambitious actions to reverse the negative biodiversity related trends and to enhance ecosystem services, while also it reaffirms its commitment to actively engage in the transformational path needed for the new global biodiversity framework to be adopted in 2020.